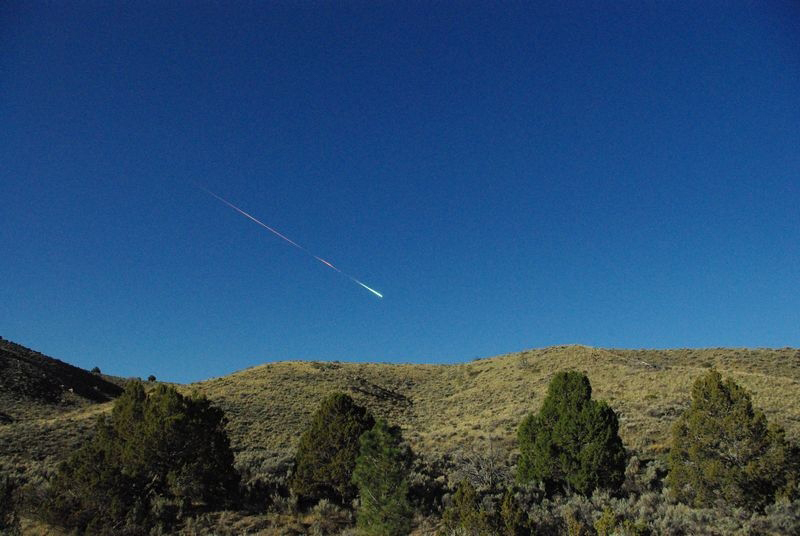 Estimated to have released the energy equivalent to a 5 kiloton nuclear bomb when it exploded over the Central Valley of California, a minivan sized meteor weighing 70 tons was photographed as it passed East to West over the Sierra Nevada mountains near Reno Nevada, around 8:00 AM Phoenix time (1500 UTC) on 22 April 2012. 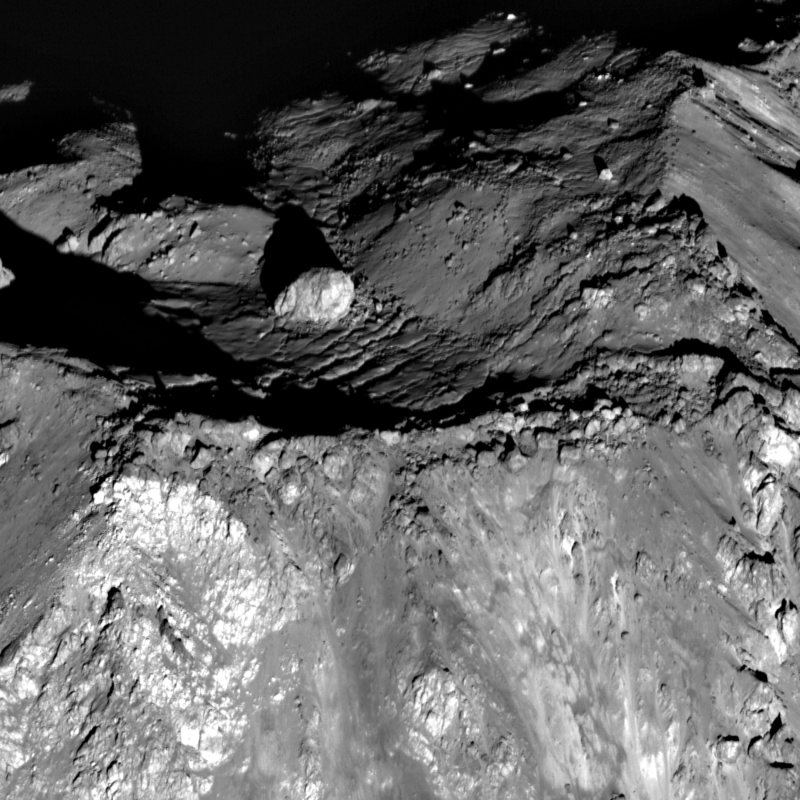 The Central Peak on Tycho. The Lunar Reconnaissance Orbital Camera (LROC) took this image of the sunrise on the peak in Tycho crater on 10 June 2011. The large boulder in the center is 120 meters across. 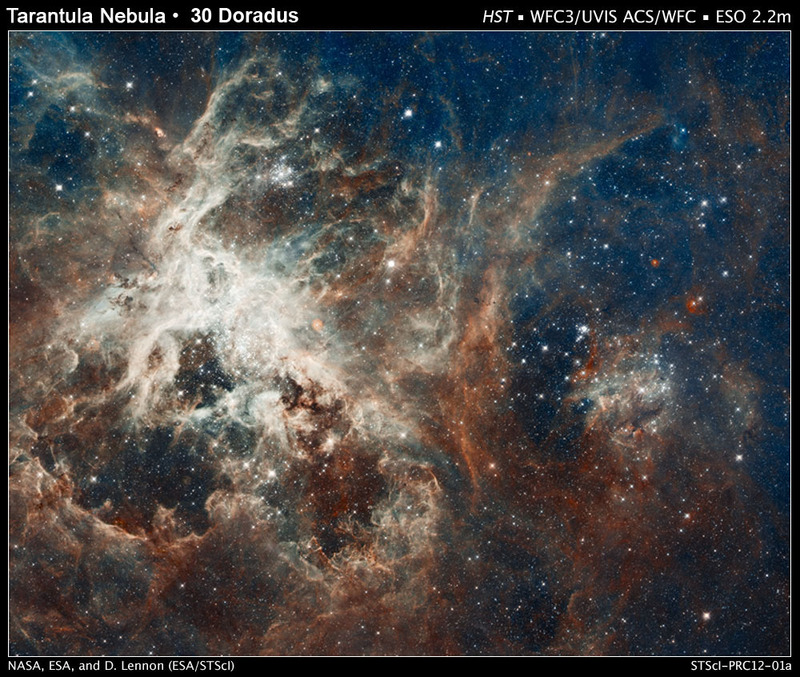 We are all familiar with the brightly colored Hubble images of the Eagle nebula and other star forming regions (below). 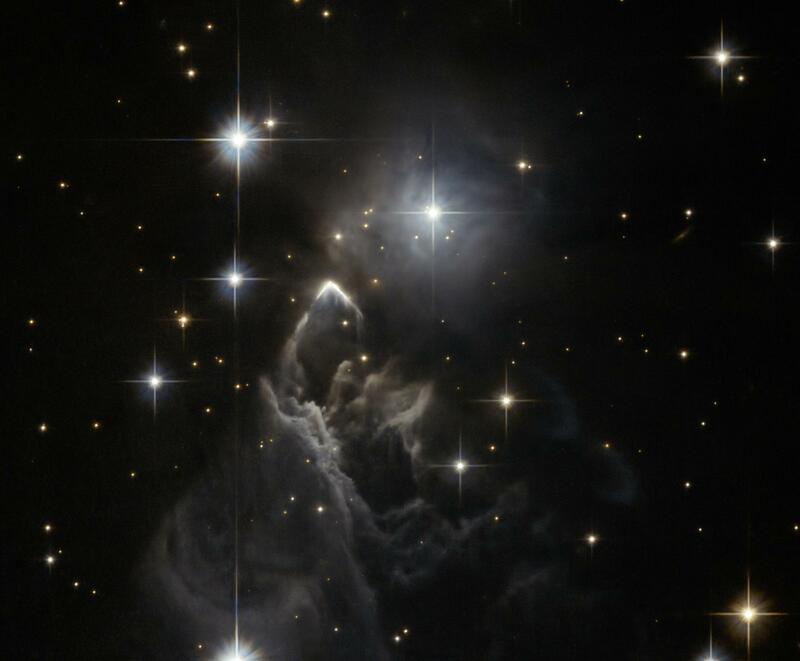 This Hubble image is the black cat in a coal bin. 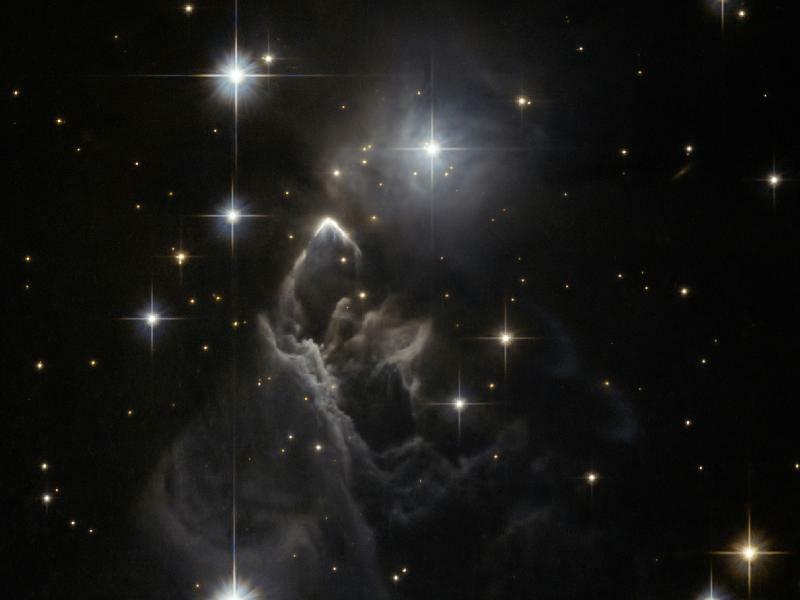 First imaged in 1983 by the Infrared Astronomical Satellite (IRAS), IRAS 05437+2502 is a small, faint nebula in the constellation of Taurus. 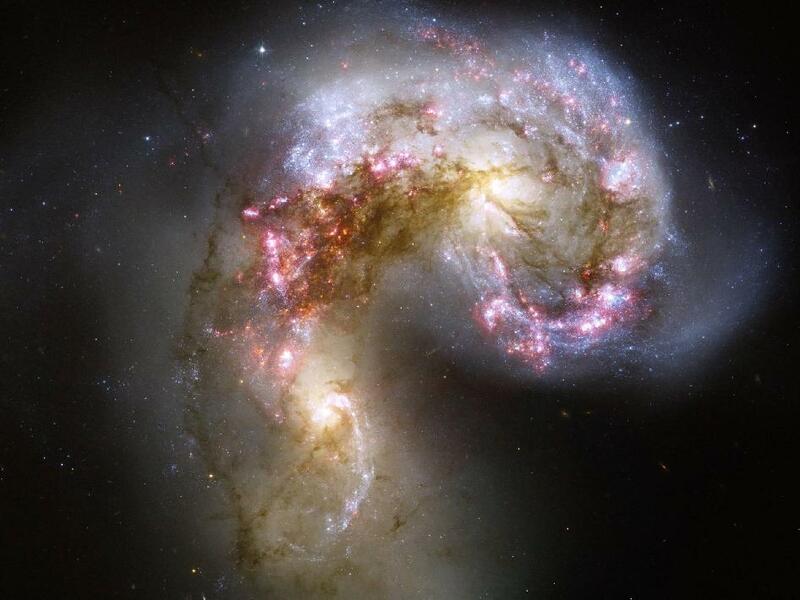 The Hubble Space telescope captured this image of the Antennae Galaxies as they continue a series of collisions that has been going on for hundreds of millions of years. 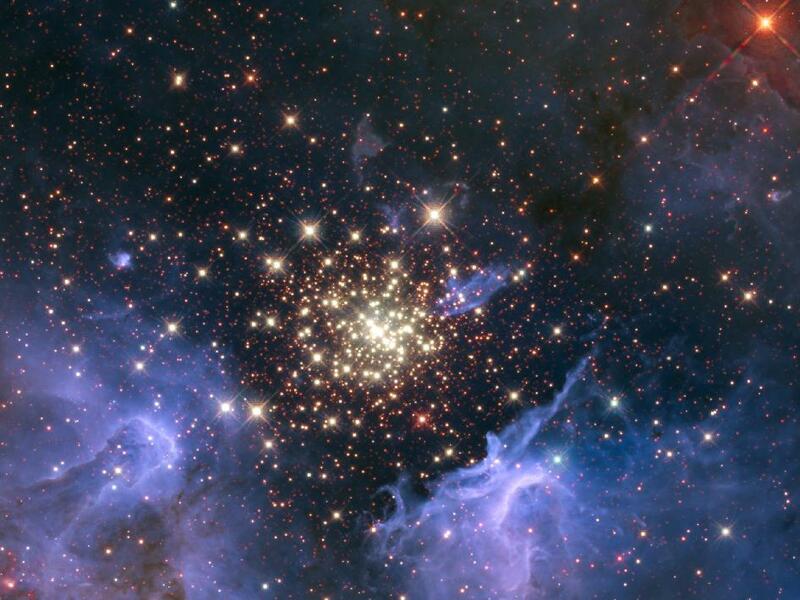 NGC 3603 contains some of the most massive stars known. These huge stars live fast and die young, burning through their hydrogen fuel quickly and ultimately ending their lives in supernova explosions. Douglas Wheelock has settled in as the photographer for Expedition 25 on the International Space Station. 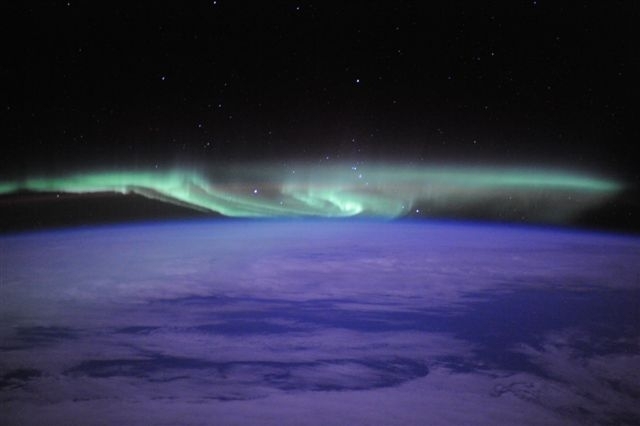 Here he captures the Aurora above the South Pole. 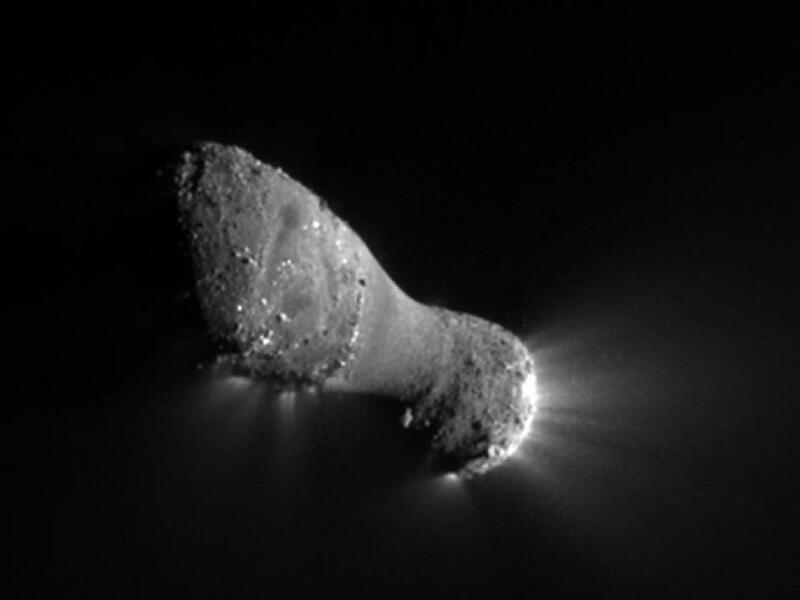 A year ago the National Geographic Society published this wonderful image of space missions. It still looks great. Hayabusa successfully delivered its asteroid sampling capsule to Earth after a seven year saga. Visible in the time lapse image is the re-entry capsule in front, and the Hayabusa spacecraft trailing it. The spacecraft and capsule enter at lower left. The top trace is the disintegrating spacecraft and the lower, longer trace is the re-entry capsule. [ed note: the original image was published reversed left to right]. 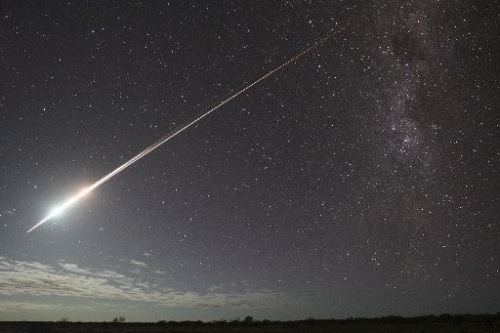 Time Lapse image of the re-entry capsule and the Hayabusa spacecraft. “We wanted to have an image that will be at least as spectacular as the iconic ‘pillars of creation,’ says Mario Livio of the Space Telescope Science Institute in Baltimore, referring to a widely reproduced 1995 Hubble image of the Eagle Nebula”. NASA released the image. 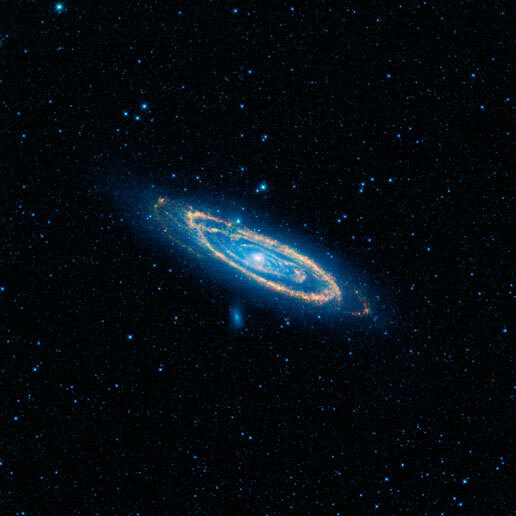 A composite image of the Andromeda Galaxy from the WISE orbital telescope. 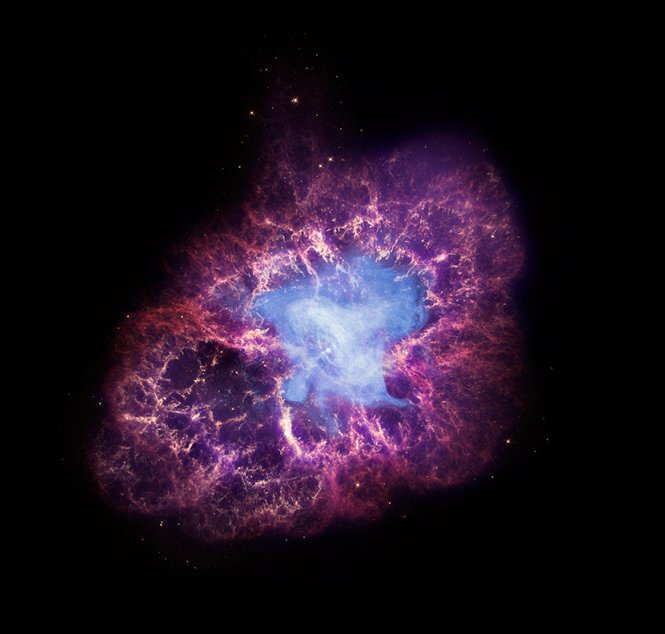 A composite image of the Crab Nebula from the Chandra X-Ray orbital telescope, the Hubble telescope in visible light and the Spitzer Space Telescope in the infrared.